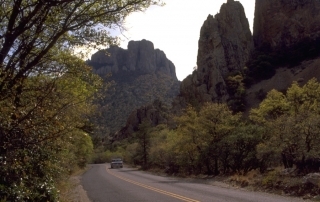 There are a couple of ways to drive to Big Bend from Odessa and Midland, depending on your local destination. 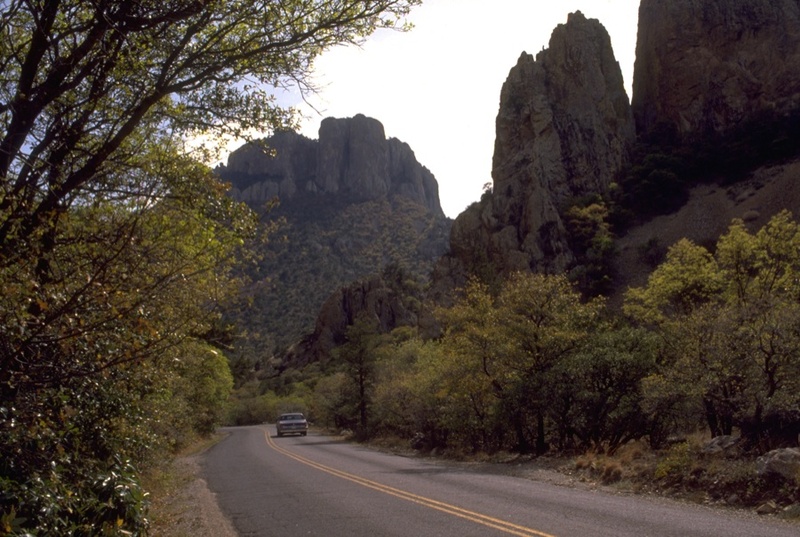 The most direct route to Big Bend National Park is to take I-10 33 mi. to Exit 83 in Monahans. Take a left (south) on TX 18, go 50 mi. 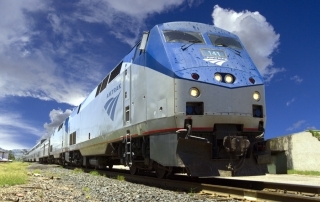 to Fort Stockton. Take a left on US 385, Railroad Street, which will shortly turn to the left to Marathon. About 55 miles south, US 385 intersects US 90. Turn east (right) one half mile, and US 385 continues left to Big Bend National Park. The town of Marathon is a mile east on US 90, last chance for gas, food, etc for a quite a ways. From the turn off, Park entrance is 30 miles, Park Headquarters is another 40 mi. Note: Park speed limit is 45 mph except where slower. 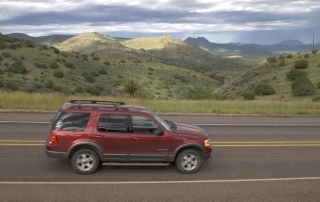 Be aware for wildife as well as drivers distracted by wildlife and spectacular scenery. 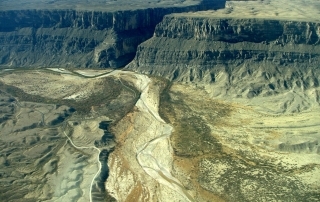 The quickest way to the west side of Big Bend National Park, including Terlingua, Study Butte, Lajitas, River Road and Big Bend Ranch State Park is through Alpine. The quickest route with the least traffic is to follow the above directions until you turn south in Monahans. Go south from Monahans on TX 18 about 5 mi. and look hard for the turn off for FM 1776, and take a right. After about 20 miles, FM 1776 will jog turn right for a few hundred yards, then hard left again through Coyanosa. Keep following FM 1776 then merges with US 67, and from that point, you are about 50 miles from the intersection of US 90. 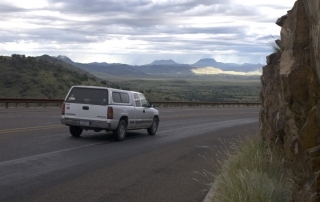 Veer right 8 miles, enter Alpine, immediately after you pass Sul Ross State University, the road divides. Go about two blocks take a left on TX 118. 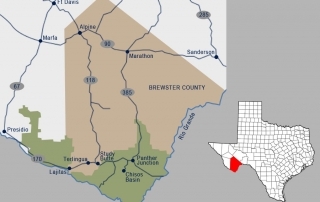 Go 80 miles to Terlingua/ Study Butte Junction. 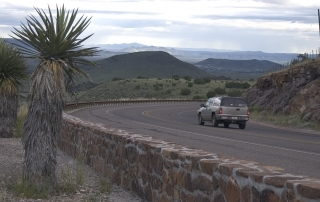 Take a right on TX 170 for Terlingua, Lajitas and Big Bend Ranch State Park. 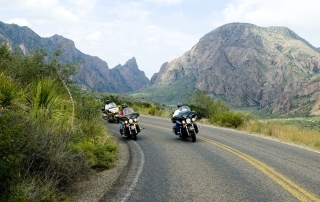 Keep going straight 3 miles for Big Bend National Park entrance.